There is a war in the college football world that no one is talking about. A war that will have a lasting impact on the art and sport that we call collegiate marching band. At the Pac-12 Conference media days this summer, Commissioner Larry Scott notified the member institutions that it would be testing out an experiment on it's college football games that would help address the issues around "game length". As we all know there is an epidemic in the college football world that has many Athletic Directors worried sick. College football games are running way too long. So long in fact that those same AD's are directly associating loss of season ticket holders to game time. However, their answer to shortening games is to immediately attack halftime. Commissioner Scott told his member institutions that they would be experimenting with a 15 minute halftime this season during certain games. Cutting the traditional halftime length by five minutes. They would also try to shorten those game by taking less media timeouts and shorten the ones that they do take. That all sounds fine and dandy, but as always, someone or something is going to be impacted. And this experiment directly hurts the bands of the Pac-12. However, that is simply just one front of the war on halftime. During our trips to college football games across the country, we have noticed a rule change that has completely flown under the radar. This rule applies to the referees themselves and is directly impacting bands. “In the past, the half would end, the referee would go to the end zone where the officials’ locker room is. He would wait for the teams to leave the field, usually wait for the coach who’s getting interviewed to at least get by him, and then he would start the 20-minute halftime clock,” said David Hennigan, ACC coordinator of football officiating in an article by the USA TODAY published this summer. “There will be no more waiting for the teams to leave the field. There won't be any waiting for coaches to do interviews. He is going to start the clock immediately, right from where the half ends on the field." And we have seen this happen with our own eyes. During our trip to the Auburn vs Clemson game we watched the referee start the halftime clock directly after the 2nd quarter ended. The players were still on the field, the coaches were still on the field and even the refs themselves were still on the field. The Auburn band waited and waited to take the field. They couldn't take the field until it was cleared which ran the total halftime clock down to about 18:30 before they marched on. Remember those 90 seconds. I will bring those back up later in the article. You'd think the rules committee would want to adjust the things that are actually impacting game length, like stopping the clock after first downs, etc. That's not the case said Hennigan. Rather the committee is more focused on managing the "the flow of the game more effectively." Sure refs can move the game along more efficiently, but think about this. 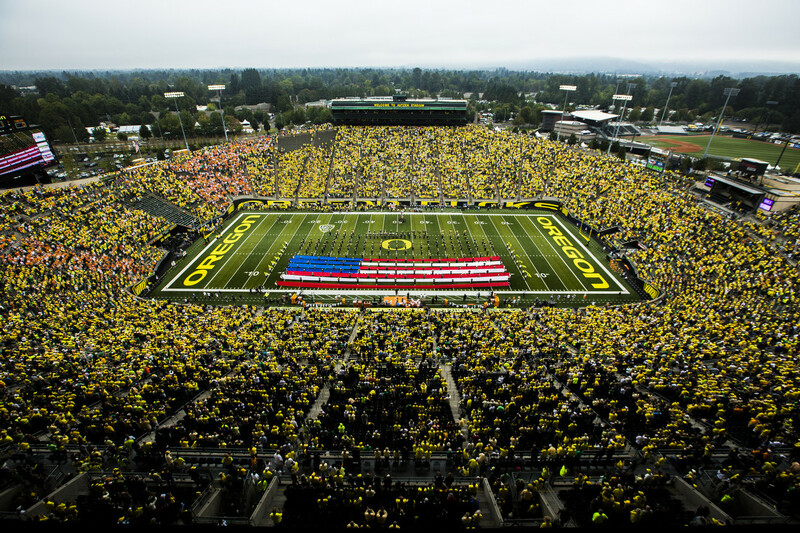 The average college football game in 2014 was 203 minutes. That's 3 hours and 23 minutes long. So you're telling me that the referees are going to be able to trim 20-30 minutes off the game time by managing the game more efficiently? Before we dive really deep into this, I want you to remember one thing. Halftime has been constant. It never changes. It is the same length at every level of football. In 2006 college football games ran 187 minutes long on average which means that games are now running 16 minutes longer. No one added 16 minutes to halftime to make the game longer. So if the Pac-12 wants to cut halftime down to 15 minutes and the referees are now eating 90 seconds of halftime clock while everyone clears the field, we are leaving bands with 13 minutes and 30 seconds for halftime. BUT bands don't control all of halftime. Halftime is shared with athletics and as you'll read further in this article athletics is going to want their piece of halftime. Right now they get about 40% of the time while the bands get 60%. If that remains the same then Pac-12 bands will get about 9 minutes to perform (some athletics programs may be willing to give the band more of their time to make up for this loss). That includes about 30 seconds of marching on the field and 30 seconds marching off. Giving bands about 8 minutes to actually perform their entire show. What happens when there is a visiting band? Well, you can probably say goodbye to visiting bands in the Pac-12 conference. No visiting band is going to make the trek to play for only 3-4 minutes at halftime. Plus the decline in media timeouts during the game which gives the bands less time to play in the stands. It's just not worth the expense. Currently most visiting bands get about 6 minutes to perform. We reached out to multiple Pac-12 Band Directors to hear their thoughts on this experiment. One Director told us, "if it goes full time it could be a real problem. For games with visiting bands I don't know what we would do." Another mentioned; "I see the time change having the biggest impact on our coordinated field entrances and the ability to program features for our twirler and/or cheer team, and if we do it's going to be extremely short." The NCAA's thinking is not only flawed it is exceptionally lazy. 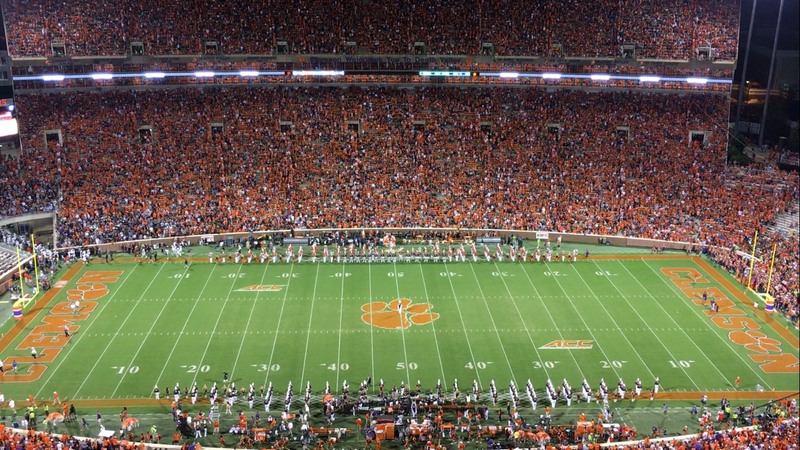 Halftime is not the reason college football games are running over 3 hours long and here's why. The concept of a halftime was first introduced in 1863 in England to help break up the game of English football (aka soccer) and provide time for the teams to change sides. This was done to create a fair game where the effects of the natural conditions such as field condition, sunlight, wind, etc were equal for both teams. In other words, you don't want one team kicking into a 30 mph wind all game long, that would be unfair. In American football, halftime became an essential time for the teams to regroup and rest after thrusting their bodies into one another for 30 minutes. As organized sports continued to grow in popularity around the world, all were built with a halftime. This helped limit injuries and exhaustion. The National Football League has a 12 minute halftime while College Football has a 20 minute halftime. College Basketball plays their games in two 20 minute halves and takes a 15 minute halftime. The NHL currently plays 3 periods. They take an 18 minute break in-between periods. That means in 60 minutes of game time on the ice they take 36 minutes of break time! Only in the Sun Belt conference can halftime fluctuate. If both coaches agree, halftime can be extended by 5 minutes in Sun Belt Conference football games. This rarely happens. If a college football game had a running clock it would take 80 minutes to play the entire game. That includes four quarters at 15 minutes each and a 20 minute halftime. Now think about this, ESPN currently allots 210 minutes to complete one college football game. Hence why games are played at noon and 3:30 pm EST. Maybe you're thinking right now that most games only take 180 minutes (three hours) to complete. That would be accurate if you were watching a Division 1-AA FCS football game not a Division 1-A FBS game which are the games you are most likely to see on television. The average Division 1-AA FCS game takes two hours and 55 minutes to play. So what's happening here? 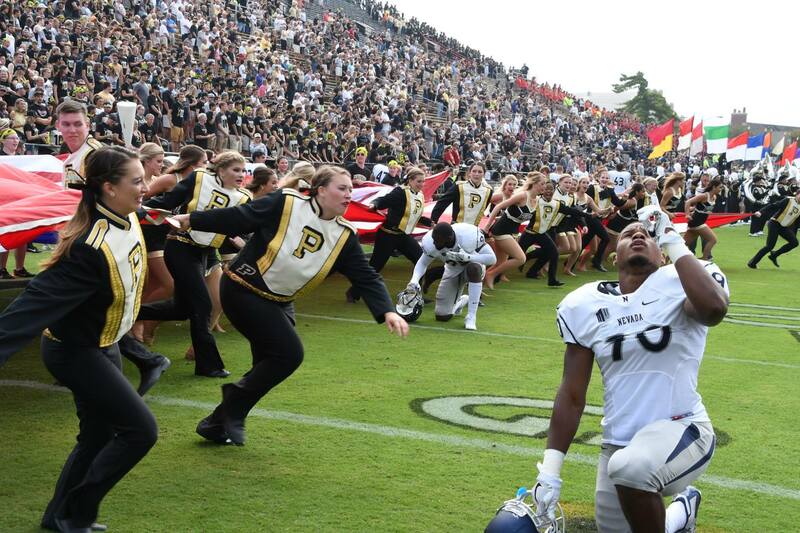 Why are Division 1-A FBS games going so long? I n 2006, ESPN signed a ten year $1 billion deal with the B1G Conference to broadcast most football and select basketball games. That averaged $100 million per year. In the summer of 2016, ESPN and the B1G agreed on a $190 million per year deal for six years for only HALF of the B1G's media rights as Fox Sports took the other half for $240 million and CBS took a basketball-only package for $10 million. The total deal is worth $2.64 billion averaging $440 million per year for the B1G conference alone! That doesn't even include the deal the conference has with the Big Ten Network which Fox owns 51 percent of. ESPN also has deals with the Pac 12, SEC, Big12 and ACC. This summer they inked the deal to create the ACC Network in 2019 and a 20 year extension on the rights for the ACC Conference. The SEC Network, which is owned by ESPN, brought in over $311 million in revenue after its first year which made the argument for the ACC Network creation even stronger. But here's the problem, in signing these deals, the networks, especially ESPN, have dramatically increased their expenses while bleeding cable subscribers. More and more college football fans and general TV watchers are cutting the cord. ESPN has lost over seven million subscribers over the past two years alone. If those people only had one ESPN channel, let's say just the regular ESPN channel, then that's $7.21 per subscriber which equals $50,470,000 in loss for ESPN per month, or over $605 million per year. Now, most cable providers offer more than one ESPN channel and you pay for all of the ESPN Channels you have in your package, so really that number is actually higher. ESPN 2 costs $0.90 per subscriber. On top of all of that, in 2012 ESPN signed a $7.3 billion deal to broadcast the College Football Playoff. This is their Super Bowl. They charged $1 million per ad that ran during the National Championship. The Super Bowl charges around $5 million per ad. With these monster contracts and the bleeding of over $605 million in subscriber fees it is no wonder that college football games are averaging 203 minutes in length. ESPN has purposefully pumped more breaks into games and maximized the allotment of ad time to make as much money as possible. In a 2015 Sports Illustrated article written about this same topic, Karl Benson, Commissioner of the Sun Belt Conference, directly attributed the increase of game length to television. He was quoted in the article as saying, "a lot of times it's coming out of commercials that games are delayed. The networks are always going to push the envelope and they're paying the bills. They need to get as many spots in as they can." Benson also believes that the length of the game is now directly impacting attendance. He stated that fans expect a shorter game and that attendance was down 4% in 2014 for the conference equaling the lowest average for the sport since 2000. Families are taking larger chunks out of their days to attend a game and are deciding to go to less games throughout the year. In the same article, Richard Southall, Director of the College Sport Research Institute, was asked about the reason behind such long football games. His response again shows that television's role in the games is impacting the length. "Commercial break lengths and the number are undoubtedly increasing," he said. "Networks have to generate additional advertising revenue to pay for the rights fees that are escalating." It is clear as day that television directly impacts the length of games and will continue to push games longer and longer. While the average FBS game took 203 minutes in 2014, the average FCS I-AA game took only 175 minutes, the average Division II game took 165 minutes and the average Division III game took only 161 minutes. Guess which ones were shown by ESPN and other big Networks and which ones were not? Reminder, halftime is the same length at all four levels. So if halftime is constant then there is no way you can argue that the length of halftime is a major contributor to the excessive length of the game. We are talking about more than a 40 minute difference in time between a Division 1-A FBS game and a Division III game. In 2006, the average length of a college football game was three hours and seven minutes. Games averaged 127.5 plays run with teams averaging 29.2 passes per game and 24.4 points scored per game. By 2014 all of those numbers had drastically changed, as did the sport itself. Welcome to the table the wide use of the "up tempo spread offense". You know, the offense made famous by Oregon and Baylor. In 2014, the average game length increased to three hours and twenty-three minutes. Games averaged 143.7 plays run, 29.5 points per game per team and 32.4 passes per game per team. This means more scoring which stops the clock, more incomplete passes which stops the clock, more completions towards the sidelines allowing players to step out of bounds and stop the clock plus more first downs which also stops the clock. More scoring means more commercial breaks after the extra point or field goal and then another commercial after each kickoff is completed. The teams that have really adopted the up tempo offense show statistics far larger than the national averages. For example, Baylor in 2014 averaged a game length 17 minutes longer than the national average. Their games averaged 159.9 plays run per game and over 73.7 points scored per game. In the Pac-12, Cal games averaged 14 minutes longer than the national average and they even bested Baylor games by averaging 162 plays per game and 78.1 points per game. Other teams that run the spread and averaged over three and a half hours of game length include, Texas A&M, TCU, Texas Tech, Arizona State, Ohio State, Western Kentucky, West Virginia, Oklahoma and Toledo just to name a few. Reminder, halftime length remained constant. The evolution of the game to move away from the run and build offenses solely focused on up tempo passing schemes with five wide receivers has had a direct impact on the length of the game. Teams that are not used to playing against these up tempo offenses are more likely to use all six of their timeouts and we statistically see higher levels of injuries in games as fatigue sets in earlier. These offenses brag about causing defenses to throw-up mid series because they can't handle the tempo. The tempo doesn't allow defenses to make substitutions causing 300+ pound defensive tackles to get sick. When a player gets injured there is a TV timeout. The networks take a full TV break even if that player quickly got up on to his feet and walked off the field 10 seconds after the commercial break started. Higher numbers of injuries mean more commercial breaks. 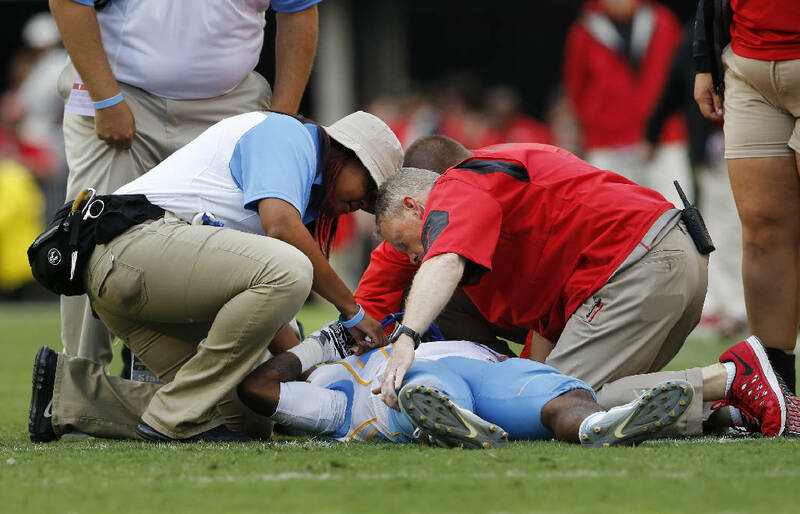 Against spread offenses, players sometimes fake injuries just to help others catch their breath. So, here's where we are. TV contracts have spiraled out of control and networks need more ad time to make their money back while the game has evolved to include more plays run than ever. These factors have directly contributed to the length of the game, yet are ignored by administrators who call for the shortening of college football games. If the data continues it's trend, college football games will only get longer and longer. This means the NCAA is going to have to address this with new rules or changes to the structure of the game. First, I'd like to remind everyone that college football players are not professional athletes. They are not paid to play football. They do not have the finances to heal their bodies in hyperbaric chambers in their bed rooms like professional athletes can while sleeping. Twenty minutes at halftime to rest their bodies isn't some arbitrary amount of time. It was selected to allow these college students a chance to heal and give coaches a chance to teach or scheme with players whom are still learning the system especially if they are freshmen. Shortening halftime would not only hurt the bands it would hurt the players and coaches too. We constantly see large power 5 conference schools play "cupcake" games against low level FBS and FCS schools. It's a paycheck for those smaller schools, but in those games there is a superior team and an inferior team. The inferior team is more likely to see major injuries to it's players and now we want to tell them they have less time to rest and have to get back out there to get beat up further before they are ready? With so many eyeballs watching for brain trauma and injuries in the football world and new precautions and rules being introduced to provide safety measures for players these seems not only counter productive, but outright dangerous. 1) Adopt the NFL rule of not stopping the clock after first downs. The average play only takes 6 seconds to run. Teams have 40 seconds currently in between plays that don't result in a stoppage before they have to run their next play. If a stoppage occurs teams have 25 seconds once the ball is set. With college football now averaging more plays and scoring than ever, that means more first downs that stop the clock. Keep the clock moving. 2) No commercial breaks during injuries unless a cart is called in by the doctor to take the player off the field. Most player injuries are sorted in less than 1 minute, yet fans have to wait longer until TV returns from the timeout. 3) Get rid of kickoffs. The most dangerous play in football is already on the endangered list as both the NFL and NCAA moved the ball forward for kickoffs equaling more touch-backs. It's time to get rid of the kickoff and have teams automatically start with the ball at the 25 yard line. With the commercial break after the score, then the kickoff and commericial that follows the kickoff we are looking at nearly 3-4 minutes in-between the extra point and the first play of the other teams next possession. If there are 10-12 scoring drives per game then we are seeing upwards of 30 minutes being eaten by commercial breaks around kickoffs. 4) Force reviews to be made within 30 seconds. Too often are plays "under further review" in college football and some reviews can take upwards of 2 minutes. By the time the ref walks across the field to get his head set on and the review actually begins you've already had 30 seconds. Streamline the process. Use the ear piece and microphone that the ref already has attached to themselves as the direct line of communication to the booth. The play should be reviewed, no one should move and the call should be made. This should be an easy fix. 5) If making money is the reason for commercial break increases then decrease the number of breaks and increase the number of ads seen during the game. Use European football for example. Those games run 90 minutes without a single commercial break during each 45 minute half. They have advertisements on the jerseys, electric ad banners all across the outside of the field and all around the team benches. If they can keep the clock moving and still make a ton of money, surely American Football can figure out a way to do the same. With the average play only taking 6 seconds and games averaging 143.7 plays run, then that means we as spectators only actually watch 14 minutes and 37 seconds of actual football. The rest of the time the clock ticks while teams huddle, they stand at the line to audible or are getting up from underneath a big pile after a tackle. That's not much football. Add your ads there while we are waiting for the next play instead of taking a full commercial break. The war on halftime is spreading and if the Pac-12 decides that this "experiment" should become the norm, then we are not only telling visiting bands to stay home we are also cutting our home band's time to perform while putting players into a position where they could see more injuries. If the Pac-12 conference deems this "experiment" successful and implements it for every game the other conferences will probably follow with their own "experiments" leading to shortened halftimes across the country. It's time the NCAA addressed the real issue, but as we know money talks and until the power is taken away from the television networks the bands and halftime will remain expendable.